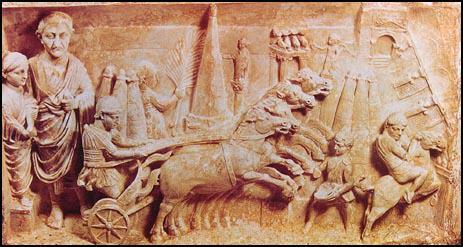 Chariots were used in the west from about 1600 BCE to about 100 CE (Forte and Caley, 188). Though there is some evidence of usage before and after this time, these pre- and post- cursor models were not examples of true chariots because the rigging supports a seated driver and there are more than two wheels. d most of the surrounding countries was too uneven for chariots to be useful in their full capacity. Because of this they were mostly used to ferry warriors in and out of battle and to deliver messages. “When they reached the ranks of the Trojans and Achaeans they left the chariot, and with measured pace advanced into the space between the hosts” (Homer, 60). Here two warriors ride into battle and abandon their chariot upon arrival for someone else to use, or steal. Homer’s descriptions of war chariots and their use in battle has been invaluable to historians that would’ve been otherwise baffled at the strategy employed by the Greeks when using chariots ( Stagakis). When used effectively in battle there are two passengers per chariot; one to drive and one to fight. Combat was usually done with a bow and arrow, but a spear was also used, though less effective due to its limited range as a melee weapon and its even more limited use as a ranged weapon. Truly, the pinnacle of chariot warfare were the Egyptian chariots. They were the fastest and most maneuverable chariots in the west for centuries, capable of thundering quickly into battle to disrupt enemy lines with a barrage of arrows and sharply turning to race out of enemy range, they were a sight to behold (Harvey). llenistic age, races. These races were extraordinarily dangerous, a piece in the British Museum depicts a Etruscan chariot racing accident “… great confusion: contorted horses overturned, legs flailing, a broken chariot with its wheels seeming to spin” (Banducci, 1). The Races served as a distraction for the public, becoming invested enough to riot. Banducci, L.M. “MOURNING DEATHS AND ENDANGERING LIVES: ETRUSCAN CHARIOT RACING BETWEEN SYMBOL AND REALITY.” Papers of the British School at Rome, vol. 82, 2014, pp. 1–39., http://www.jstor.org/stable/24780076. “Charioteer- Four Horses Greek Vase.” Getty Images, Greece, http://www.flickriver.com/photos/theheartindifferentkeys/2549978617/. Depicts a Greek charioteer and soldier on a quadriga chariot. Forte, Alexander S. W., and Caley C. Smith. “New Riders, Old Chariots: Poetics and Comparative Philosophy.” Universe and Inner Self in Early Indian and Early Greek Thought, edited by RICHARD SEAFORD, Edinburgh University Press, Edinburgh, 2016, pp. 186–203. JSTOR, http://www.jstor.org/stable/10.3366/j.ctt1bgzdmh.18. Homer, , Richmond Lattimore, and Richard P. Martin. The Iliad of Homer. Chicago: University of Chicago Press, 2011. Print. Parade Chariot with Archery Rigging. 10 Dec. 2018. Stagakis, George J. “Charioteers and Παϱαιβάται of the ‘Iliad.’” Historia: Zeitschrift Für Alte Geschichte, vol. 29, no. 2, 1980, pp. 142–164. JSTOR, JSTOR, http://www.jstor.org/stable/4435710. “Tomb of Roman Official and His Wife.” Chariot Racing, Spartacus Education Publishers, Rome, Aug. 2014, spartacus-educational.com/ROMchariot.htm.